For the prize, the cashmere tee would be great. I like the belts at Lands End, the last two I bought were sturdy and stylish. Lands' End is way cooler now than when I was a little kid. True, they had kind of a preppy mystique back in the day but they were always way more about practicality than fashion. These days, they are still very sensible but they also know how to have fun. Case in point, the Kids' Fleece Slippers. Sure, they'll keep tiny tootsies warm and cozy. But they are also totally adorable! When Jasper wears his Penguin Fleece Slippers, he can do no wrong. Maybe you need a closer look. They are hilarious! Available in toddler-big kid sizes. If novelty gear isn't your thing, perhaps cashmere is. Lands' End offers a wide selection of luxury cashmere items that are a far cry from the dowdy fair isle cardigans of yore. I received a Long Sleeve Cashmere Tee Sweater and it is a true classic, perfect for a strand of pearls or a pair of jeans. If you actually are a Lands' End fan for their legendary stoic practicality, you will definitely want to check out their luggage. The Lighthouse Wheeled Duffel Bag I tried was about half the weight of my current suitcase and folded almost completely flat. It was so cool, in fact, that my parents totally snaked it for a trip to Hawaii. I don't think I'm getting it back. To enter and win your choice of the Lands' End items I've reviewed here (Kids' Fleece Slippers, Long Sleeve Cashmere Tee Sweater, or Lighthouse Wheeled Duffel Bag), please comment on this post with your choice of prize and your favorite item from Lands' End. Entries will be accepted through December 30th and I'll pick the winner using Random.org. US readers are eligible. Only one entry/comment per person. I've had my eye on the Wheeled Duffle for a while now! Perfect for my teenager. So it's my favorite item AND choice of prize! My favorite item from Lands End is the Women's Plus Size Knit Zip-front Robe. My choice of prize would be the Kide' Fleece Slippers. The Women's Angel Boots are one of my favorite products at Lands' End. If I win this contest, I'd choose the wheeled duffle bag because I really need one. My favorite item from Lands End is the Girls' Angel Fleece Pajama Set , very cute , warm and snuggly. If I won i'd pick the wheeled duffle, it would make trips alot easier! My favourite thing at land's end is the Bear Bean Bag Chair! I would love the wheeled duffle bag for my granddaughter. My favorite items from Land's End are their turtlenecks. Oh my, those slippers are adorable! I'd have to say I'd want those for one of my boys. And I have my eyes on the Land's End diaper bags as some of my favorite items. My favorite LE item is the Women's Regular ThermaCheck® 100 Fleece Half-zip Pullover. I would love to win the wheeled duffel. My fave item from Lands End is ANYTHING cashmere from them. They have the best cashmere sweaters. My husband bought me one of the cashmere tees last year and it is delish!! So, for the second question, I would definitely pick the cashmere tee as my choice. Thanks for an awesome giveaway. Lands End is a great company. You can return an item for ANY REASON AT ANY TIME!! Now that's a pretty AWESOME return policy, huh?? My favorite item from Land's End is something I actually purchased just recently-- driving mocs. Talk about comfort. My favorite item is the Women's Argyle Cashmere Crew Cardigan and I would choose the wheeled duffle bag. I like the antistatic aircore blanket and would like to win the duffel. I would pick the Long Sleeve Cashmere Tee Sweater in Berry. I have always been fond of the Land's End Monogrammed Canvas Totes. I would choose the sweater!!! My favorite item from Lands End is the Women's Down Vest (I just bought one in Chocolate!) and I would love to win the wheeled duffel for my husband to take on work trips!! The Women's Medium Z-strap Terrain Jane Shoes in Herb Green is my favorite item, and I would like the long-sleeve cashmere tee if I win, thanks. I would love the wheeled duffle bag. I have a Land's End back pack and it is top quality. I would choose the sweater if I win. My favorite Land's End item is the Squall Parka. My boys travel back and forth to see their mom.The wheeled duffle would be nice. Would love the cashmere sweater! My favorite item I have ever bought from Land's End is my daughter's rain coat. Wow is it nice and lined too! We are geting new PJ's for the whole family from Land's End. We would love a new piece of luggage at our house. My favorite item from Land's End are the Weatherly Snow Boots. My choice of prize would be the Lighthouse Wheeled Duffle Bag. I'm going on a trip in March and this would be perfect. 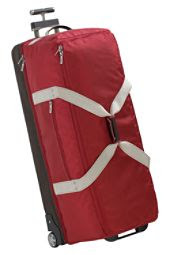 I love the wheeled duffle bag because it looks so easy to use and so handy on trips. Thanks!!! I'd love to win the Lighthouse wheeled duffel bag from Lands' End. I love their flannel pj pants. I'd want the cashmere tee in Blackberry; the cashmere sweaters at Land's End have been my dream item for a couple of years now, especially the long-sleeved V-neck. I'm in love with their Terrain Jane shoes. If I'm lucky enough to win, I'd love the Long Sleeve Cashmere Tee Sweater. Thank you and Happy Holidays to you! I love lands' end book bags, tehy are great. I wuld love to with the duffel bag for our trips home! My choice would be the long sleeve cashmere sweater. I love the Women's Reversible Quilted Long Down Coat! Thanks. I would definitely take the cashmere sweater. We don't usually have a reason to wear snow boots in Georgia but I am a fan to the Kid's Character Snow Flurry Boots - Little Kid/Big Kid Reindeer Boots. Check um out! Great. :) I would like to win any of the 3 but my preferred choice will be Lighthouse Wheeled Duffel Bag. I am subscribed by RSS feed. Please put me in for the Duffel Bag. I love LE's cardigan sweaters! Lighthouse Wheeled Duffel Bag is my prize choice. Love the Women's Weekend Chino Skirt! It looks so comfy too! I think I'd have to go for the Cashmere sweater. I only had one other one and our ferret got a hold of it! I would love the luggage! It would be great for our trip next year to see my mother in law across country. My favorite lands end items are their swimsuits (both my daughter and I have long torsos and the suits are also built very well); also like their wrinkle resistant, stain resistant khaki pants - they have lasted over a year with my 2 year old son - that says a lot! I think my favorite thing from the website is the EZ bed, since we entertain a fair amount, but our sleeping arrangements are less than glamorous. 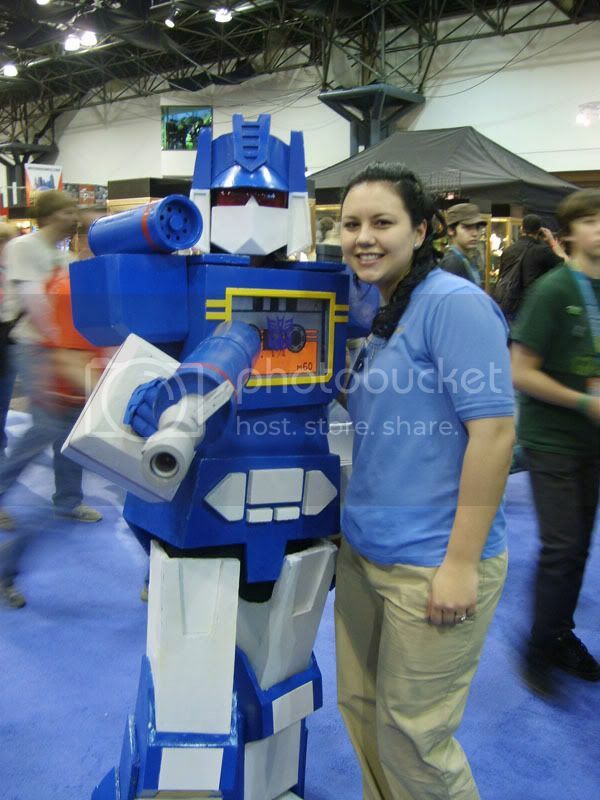 For this contest though, I think that teh wheeled duffel is top notch! I would love to have the luggage. Thanks for the chance. I love their boots, and the wheeled duffle looks great! Lands End has a bunch of stuff I would snag. I like to get my family out as much as possible. I would buy the Delancy Coat in Burgundy for me. If I get the chance to win, I would love to have the Long Sleeve Cashmere Tee Sweater. I have never had a cashmere sweater and it just looks so lux. I would love to win the kids' fleece slippers as my little girl outgrew hers and I need to get a new pair. My favorite item (at the moment) from Lands' End is the girls' angel boots, they are adorable! Thanks for the fantastic giveaway! I'd like to win the rolling Duffle Bag. My favorite is the Collapsible Canopy. Thank you for offering this giveaway. I would like to enter for the Lighthouse Wheeled Duffel Bag. My favorite item at Lands End is the Deluxe Lunch Sac. We had gotten my son one of these this year and I really love it. The quality is really wonderful. Thanks and Happy Holidays. Oh the girls sporty mary janes in dusty rose is what I like best with the exception of the wheeled duffle bag. My favorite item is their thermal tees! They are sooo warm! If I would I would pick the swaeter in basic black. I really like the wheeled duffel bag. My favorite item is their thermal tees. I could wear them under my scrubs at work. Thanks! My favorite item from Land's End would be the t-shirts for men. I have to buy tall sizes and they aren't that easy to find. I would love to have that great wheeled duffel! Thanks for the great giveaway opportunity. I have the womens pea coat and i love it!!! I really like their book bags! I'd love to win the duffel for our frequent traveling! I like the flannel Pajama pants for women at Land's End! I would pick the duffel bag if I won! I wnat the Long Sleeve Cashmere Tee Sweater. I really, really like the Cashmere Knit Throw in Mahogany. Simply beautiful. It's on my Christmas list, but kinda pricey...so it's doubtful that I get it! The item that I want is the Lighthouse Wheeled Duffel Bag in Pink Coral. Love it, plus my luggage is in sad, sad shape! I've faved ya on Technorati. I would love the wheeled tote for an upcoming trip. I just bought my 4 year old a new parka and snow pants from Lands End and we are loving those right now with all the snow! My prize would be the wheeled duffle. Land's End makes the best men's knit boxer briefs. I would have to go with the cashmere sweater! Thanks for the contest! I would love the Lighthouse Wheeled Duffel Bag. I love the Women's Regular Cotton Marled Turtleneck Sweater. The Womens Sport Jacket in Fresh Green. I usually buy all my bags from lands end so the wheeled luggage would be my choice. My favorite thing from them have been the sports bag backpacks for school. They have huge durable zippers. My daughter has had hers for 3 school years and it is still like BRAND NEW! My son is on his second year and is also in the same condition. I have one I take to indoor water parks for towels or to the gym and there is no roomier nicer bag to haul. Thanks for the opportunity. Happy Holidays! I'd love to be entered for the Lighthouse Wheeled Duffel Bag! It looks so nice and would be great for plane trips! And my favorite item would be there summer-time tote bags! Please enter me to win the Lighthouse Wheeled Duffel Bag! I am a big fan of Lands End, especially their totes! Love the Kids' Reinforced Knee Squall Bibs and the cashmere tee. I'd love the cashmere T! My kids are all outfitted in LE parkas and snowpants every year. My parka too, come to think of it! I would love the rolling duffel, but my favorite item at Lands End is the open top canvas tote. If I win I would love the wheeled duffel bag..it sounds fabulous. I love the Appliqué Bean Bag Cover and Insert...it would look perfect in my daughter! I have subscribed via reader. I really would like the duffel bag for our trip next month! I also like their Women's ThermaCheck® 100 Fleece Half-zip Pullover. I love the women's white angel boots. They're on sale, I might have to buy them. As far as the prize goes, I would love the wheeled duffle bag. I really need it. would love to win the "Lighthouse Wheeled Duffel Bag". and i like the cashmere sweaters they sell. I love the kid's insulated rain boots in navy. I'd like to win the kids fleece slippers. I'd like to win the Duffel Bag. My favorite item is the Men's angel fleece slippers in brown. I would love the duffel bag. My favorite item is the Kids' Mary Jane Trekker Shoes in pink. Gosh I love their website I could spend all day on stuff I could buy there!! I love their baby shoes and my favorite pair are the Baby Shearling Boots! I'd love to win the Long Sleeve Cashmere Tee Sweater!! Lands End is great, I'ld love to win the Women's Regular Long Sleeve Cashmere Tee Sweater. I'ld love to get the Women's Angel Boots. I really like the girl's angel boots. Hmm...I need a pair of boots. Anyway, probably would have to go for the cashmere sweater. I would totally get the slippers though if they came in adult sizes! So cute! My fave item has to be the 400-ct. No Iron Cotton Bedding , in mahogany and cream colors. I would love to win the Lighthouse wheeled duffle bag please. I am RSS subscribed, thank you. My choice would be the duffle. My fave item is the the toddler sport excursion shoes in Sport navy. They're on sale too! I really love the Land's End diaper bags. I would love the duffle bag if I won. Thanks! I like the wheeled duffle bag. My fav item from Lands End is the mens down vest. As for choice of prize...the cashmere tee sweater. My favorite item from Lands' End is the cashmere sweater. My favorite item from Land's End is the wheeled duffle bag! It's great for constant travelers like myself! Thanks for the great giveaway offering and Happy Holidays! I'm entering to win the Long Sleeve Cashmere Tee Sweater, and my favorite item at Lands End is the long-sleeve super T. Thanks for the giveaway! i'd love to win the cashmere sweater. Land's End makes great, flattering bathing suits -- my favorites are their lingerie style swimdresses. I love the wheeled duffle bag and wish I owned one in Black. I also love the Lighthouse Convertible Bag from lands end that matches the wheeled duffle bag. We have all our family that live 1200 miles away so you know how traveling with kids can be. I want the lightest easiest luggage and most of all long lasting and dependable. the Convertible Bag and the wheeled duffle seem like a very awesome travel set to own. 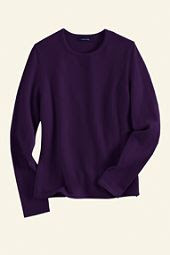 Long Sleeve Cashmere Tee is my prize of choice and the Long Sleeve Cashmere with V-Neck is my favorite Land's End Sweater, in color of the season, Vivid Plum. Hope everyone has a wonderful holiday and a prosperous New Year! I would like to win the Lighthouse wheeled duffle bag...I do have the cashmere V-neck swaeter and love it,,,but I need a new piece of luggage! i reaally like the Land's End Monogrammed Canvas Totes. I would love to win the cashmere sweater. My fav item is the red wool pea coat. Thanks! From the site, I love the Weatherly Jacket for women. I would love to win the slippers for my daughter! I would like the Long Sleeve Cashmere Tee Sweater in Ivory, size small. I also like the women's fleece slippers. I love the wheeled duffle but i also love the sweater - so many choices. Girls' Angel Fleece Robe . I like the long sleeve cashmere sweater tee. Thanks for the giveaway. My favorite L.E. product today is Women's Weekend Chino Skirt...it works perfect for my casual office. As for the prize, i'd like the cashmere sweater. Thanks!! I am sure that the lighted duffel is great because I love their personalized tote bags. The duffel bag would be perfect for my son for when he comes and goes to college. My favorite item from Lands End are my Hiking boots I got from them that still look like new after 7 years! I would buy another for my hubby since he is jealous! My favorite from land's end is the girl's angel down coat, looks so warm:) I would pick the luggage, but all the items looks so great it was a hard choice:) thanks! I would love the sweater! I also like the Girls' Angel Down Parka from their site. ashlyn@chuparkoff.com/I love Lands Ends uniforms for school for their durability, and I really could use a beautiful sweater for myself. I would love to win the rolling duffel. so useful when traveling. Another item I like from lands end are the mens suede moc slippers. those would be great for my husband to keep his tootsies warm. thanks! The wheeled duffle is what I would pick. Thanks. I've got my eye on the electric blankets on the website. My favorite Land's End product are the adorable Girls Snug Fit Long Johns! I am entering for the Lighthouse Wheeled Duffel Bag-I have always wanted one! I'm subscribed through Google Reader! Could definitely use that luggage bag. All of ours came from yard sales 25 years ago when we first got married. They were old and used then and that was 25 years ago!! I'd love to win the cashmere T. I'm also a fan of their girls' Waverly Jacket. I just went to a lands end inlet... they have so many great items! I just got the slippers for my son. We could really use the luggage bag for our upcoming trip to seattle! I'd like to win the cashmere sweater. I also like their flannel bedding. Thanks for the contest! Our favorite Lands' End item right now would have to be their kids' snow boots! I'd love to have that cozy cashmere sweater! My fav is the Women's Cotton Shaker Toggle Cardigan Sweater. I would choose the wheeled duffle aa a prize. Thanks. I would go for the cashmere tee sweater. As for Land's End, my favorite items are always the down vests--they are big hits as Christmas gifts. I fell in love with the Women's ThermaCheck® Fleece Roll Brim Hat, I just ordered it! I'll probably order the Wheeled Duffle if I'm not luck enough to win it! I would love to have the Women's Plus Size Short Sleeve Midcalf Sleep-T Nightgown in pink. I would also love to have the cashmere sweater, as I have never worn cashmere. But, I guess the duffle would be more useful for me as I live in Florida, and it doesn't get really cold here. The Toddler Print Rain & Shine Boots in Firefighter are super cute! I love the down vests from Land's End. My prize choice would be the wheeled duffel bag. I love the Lighthouse Wheeled Duffel Bag and my favorite item is the Women's Petite Knit Pattern Holiday Knee Length Nightgown in Rich Red with Ivory Snowflakes. Thanks for the contest! I adore the snug fit girls cotton long underwear. My daughter thinks there the best to sleep in. Hi I would love the Long Sleeve Cashmere Tee Sweater and my favorite item of Land's End aside from the Cashmere is their white puffy vest. Thanks for a great giveaway! I subscribed to your feed in my yahoo. I would like to win the Woman's Cashmere Tee Sweater. I also like the half-zip pullover fleece. I would love to win the "Lighthouse Wheeled Duffel Bag" which is great for travel. My favorite item from the store is "Women's Reversible Quilted Long Down Coat" which is smart and cozy for the winter. Thanks for this amazing giveaway!. My favrite item is the Green Coat in Women's outerwear. I would love to win the Duffel Bag. Thanks for this giveaway! I would choose the wheeled duffle bag, and I really like their lunchboxes. I LOVE the Toddler Lounge Chair! How cute is that?!? As for choice of prize - I'd definitely go with the Luggage. Good stuff! I would choose the cashmere tee. My favorite item would be the Women's Chalet Long Down Coat! I am a subscriber via email! As for my favorite item, almost any of the luggage, but the 22" Premium Upright Luggage looks like the best. My favorite is the Women's Regular ThermaCheck® 100 Fleece Half-zip Pullover. I would love to win the cashmere tea. I'd choose the cashmere sweater tee. My favorite Land's End item is the great toddler winter jacket/snowpants that my daughter is wearing. It's so nice not to have to worry about her being cold in the Minnesota winters! I've always wanted a pink cashmere sweater, so I would choose the Light Coral Pink cashmere sweater tee (in 3X). It's such a pretty pink and one of my favorites on the site. I also love the Spice Brown Fine Gauge Cotton Baby Cable Crew Sweater--looks very comfy! I also subscribed via my Yahoo reader. Thanks for a great giveaway! I would love to win the Lighthouse Wheeled Duffel Bag and I'm hoping to get my favorite thing from Lands' End for Christmas .. the Women's Long Wool Swing Coat in cream. Thanks for the terrific giveaway! I like the womens down commuter coat. I would love to win the Rolling Duffle bag. And... I love the women's robes at Lands' End. I love the bathrobe. I would like the duffle if I win. Thank you. I would choose to win the "Long Sleeve Cashmere Tee Sweater"
I like their women's weatherly snow boots. If I won, I would like the duffel. Wheeled duffle or cashmere tee, I don't have the strength of character to choose. The other thing I need to have is the flannel sheet set in moss green.